Dr. Olsen is an Old World prehistorian interested in the development of the horse-human relationship through time. Olsen, S.L. (ed.) in press. Equids in the Ancient Near East, Egypt and Arabia, BAR, Oxford. S.L. Olsen 2013. Stories in the Rocks: Exploring Saudi Arabian Rock Art. Carnegie Museum of Natural History, Pittsburgh, PA. Photography by Richard T. Bryant. 236 pp. S.L. Olsen and Cynthia Culbertson 2010. A Gift from the Desert: The Art, History and Culture of the Arabian Horse. International Museum of the Horse, Lexington, KY. 231 pp. S. L. Olsen, S. Grant, A. Choyke, and L. Bartosiewicz, (eds.) 2006. Horses and Humans: The Evolution of the Human-Equine Relationship. BAR, International Series 1560, Oxford, (375pp). S.L. Olsen (ed.) 1996, reprinted in 2003 in paperback. Horses Through Time. Roberts Rinehart, Boulder, Colorado, (222pp). S.L. Olsen (ed.) 1988. Scanning Electron Microscopy in Archaeology. BAR, International Series 452, Oxford, (408 pp). Olsen, S.L. in press. The Impact of Status and Function on Ancient Equine Welfare, in Deborah Kochevar (ed. ), Hoof Beats and Society: The Horse-Human Relationship. Tufts University, Grafton, MA. (14 pp.). Olsen, S.L. in press. Introduction, in Sandra L. Olsen (ed. ), Equids in the Ancient Near East, Egypt and Arabia, BAR, Oxford. 5 pp. Olsen, S.L. in press. The Inception of the Arabian Horse Breed, in Sandra L. Olsen (ed. ), Equids in the Ancient Near East, Egypt and Arabia, BAR, Oxford. 15pp. Olsen, S.L. 2012. “Comments” on “Multi-regional Emergence of Mobile Pastoralism and Uniform Institutional Complexity across Eurasia,” by Michael D. Frachetti, in Current Anthropology, 2 pp. Linduff, Katheryn M. and Sandra L. Olsen, 2010. Saddles Discovered In Western China Zaghunluq (轧滚鲁克 )(761 + 61 BCE) and Subeshi (苏贝希) (480 + 85 – 230 + 85 BCE) Xinjiang. Chinese Journal of Eurasian Studies. 15 pp. Outram, A; N. Stear; R. Bendrey; S. Olsen; A. Kasparov; D.Chivall; V. Zaibert; N.Thorpe and R. Evershed 2009. Earliest Horse Harnessing and Milking in the Eneolithic of Prehistoric Eurasia, Science, Vol. 323:1332-1335. Ingham, S., S. Olsen, F. Fu, M. Moreland 2009. The Death of an Egyptian Boy. Pittsburgh Orthopaedic Journal, 20:97. Olsen, S.L. 2008. The Inception of Horse Pastoralism. In General Anthropology, Bulletin of the General Anthropology Division, American Anthropological Association, 15(1):pp. 1, 5-6. Olsen, S.L. 2008. Hoofprints. Natural History 117(4): 26-32. Olsen, S.L. and D. Harding 2008. Women’s Attire and Possible Sacred Role in 4th Millennium Northern Kazakhstan. In K. Linduff and K. Rubinson (eds. ), Are All Warriors Male? Lanham, MD: Rowman and Littlefield, Lexington Books, and Madison Books, 67-92. Allard, F., D. Erdenebaatar, S. Olsen, A. Cavalla, and E. Maggiore 2007. Ritual and horses in Bronze Age and present-day Mongolia: Some preliminary observations from Khanuy Valley. In L. Popova, C. Hartley, and A. Smith (eds. ), Social Orders and Social Landscapes: Proceedings of the 2005 University of Chicago Conference on Eurasian Archaeology. Newcastle upon Tyne: Cambridge Scholars Press. Pp.151-167. Olsen, S.L. 2007. Conclusions: Bone Artifacts and their Importance to Archaeology. In Christian Gates St.
Pierre and Renee B. Walker (eds. ), Recent Developments in Bone Tool Studies. Oxford: BAR International Series 1622: 175-182. Olsen, S.L. 2006. Early horse domestication on the Eurasian steppe, in M. A. Zeder, D.G. Bradley, E. Emshwiller, and B. D. Smith, Documenting Domestication: New Genetic and Archaeological Paradigms. Berkeley: University of California Press: 245-269. Olsen, S. L. 2006. Introduction, in S.L. Olsen, S. Grant, A.M. Choyke and L. Bartosiewicz (eds. ), Horses and Humans: The Evolution of Human-Equine Relationships. Oxford: BAR International Series 1560:1-10. Olsen, S.L. 2006. Early horse domestication: Weighing the evidence. In S.L. Olsen, S. Grant, A.M. Choyke and L. Bartosiewicz (eds. ), Horses and Humans: The Evolution of Human-Equine Relationships. Oxford: BAR, International Series 1560: 81-113. Olsen, S.L., B. Bradley, D. Maki, and A. Outram 2006. Community organisation among Copper Age sedentary horse pastoralists of Kazakhstan. In D. Peterson, L.M. Popova, and A.T. Smith (eds. ), Beyond the Steppe and Sown: Proceedings of the 2002 University of Chicago Conference on Eurasian Archaeology, Colloquia Pontica 13. Leiden: Brill Academic Publishers: 89-111. Olsen, S.L. and I. Glover 2004. The bone industries of Ulu Leang 1 and Leang Burung 1 rockshelters, Sulawesi, Indonesia, in S. Keates and J. Pasveer (eds. ), Quaternary Research in Southeast Asia. Balkema, Rotterdam, pp. 273-300. Olsen, S.L. 2003. The bone and antler artefacts: Their manufacture and use. In N. Field and M. Parker Pearson (eds. ), Fiskerton: An Iron Age Timber Causeway with Iron Age and Roman Votive Offerings. Oxbow Books, Oxford, pp. 92-111. Olsen, S.L. 2003. The exploitation of horses at Botai, Kazakhstan, in M. Levine, C. Renfrew and K. Boyle (eds. ), Prehistoric Steppe Adaptation and the Horse. McDonald Institute Monographs. Cambridge: McDonald Institute for Archaeological Research, pp. 83-104. Olsen, S.L. 2002. Comments on “Archaeology and language: the Bronze Age Indo-Iranians,” by C.C. Lamberg-Karlovsky. Current Anthropology 43(1)80-81. N. Moloney, S. L. Olsen, and V. Voloshin 2001. Lower and Middle Palaeolithic occupation in Central Kazakhstan: The Batpak valley and environs. In S. Milliken and J. Cook (eds. ), A Very Remote Period Indeed. Oxbow Books, Oxford, pp.138-143. Olsen, S.L. 2001. The importance of thong-smoothers at Botai, Kazakhstan. In A. Choyke and L. Bartosiewicz (eds. ), Crafting Bone: Skeletal Technologies through Time and Space. BAR International Series 937, Oxford, pp. 197-206. Olsen, S.L. 2000. The Upper Paleolithic bone industry of Klithi Rock Shelter, northwest Greece. Annals of Carnegie Museum 69(4): 209-226. Olsen, S.L. 2000. Reflections of ritual behavior at Botai, Kazakhstan. In K. Jones-Bley, M. Huld, and A. Della Volpe (eds.) Proceedings of the Eleventh Annual UCLA Indo-European Conference. Journal of Indo-European Studies Monograph Series No. 35. Institute for the Study of Man, Washington, D.C., pp.183-207. Olsen, S.L. 2000. The sacred and secular roles of dogs at Botai, Kazakhstan. In S. Crockford (ed. ), Dogs Through Time: The Archaeological Evidence. B.A.R., International Series 889, Oxford, pp.71-92. Olsen, S.L. 2000. The bone artifacts. In A. Moore, G. Hillman, and A. Legge (eds. ), Village on the Euphrates: From Foraging to Farming at Abu Hureyra. Oxford University Press, Oxford, pp. 154-163. Olsen, S.L. 1999. Investigation of the Phanourios bones for evidence of cultural modification, Chapter 9, Specialized Analysis, Section 5. In A. H. Simmons (ed. ), Faunal Extinction in an Island Society: Pygmy Hippopotamus Hunters of Cyprus. Plenum Press, New York, pp. 230-237. Olsen, S.L. 1998. Animals in Native American life. Chapter 6 in Marsha Bol (ed. ), Stars Above, Earth Below: Essays on Native Americans and Nature. Roberts Rinehart, Niwot, Colorado, pp. 95-118. Olsen, S.L. 1997. Horse hunting strategies in the Paleolithic. In F. Alhaique, et. al. (eds. ), XIII International Congress of Prehistoric and Protohistoric Sciences, Forlì, Italy, 1996: The Proceedings, Vol. 6. A.B.A.C.O., Forlì, Italy. Olsen, S.L. 1996. Prehistoric adaptation to the Kazak steppes. In G. Afanas’ev, S. Cleuziou, J. Lukacs, and M. Tosi (eds. ), The Colloquia of the XIII International Congress of Prehistoric and Protohistoric Sciences, Vol. 16: The Prehistory of Asia and Oceania. A.B.A.C.O. Edizioni, Forlì, Italy, pp. 49-60. Olsen, S.L. 1996. Introduction. In S. Olsen (ed. ), Horses Through Time. Roberts Rinehart, Boulder, Colorado, pp. 1-10. Olsen, S.L. 1996. Horse hunters of the Ice Age. In S. Olsen (ed. ), Horses Through Time. Roberts Rinehart, Boulder, Colorado, pp. 35-56. Olsen, S.L. 1996. In the winner's circle: the history of equestrian sports. In S. Olsen (ed. ), Horses Through Time. Roberts Rinehart, Boulder, Colorado, pp. 103-128. Olsen, S.L. and J.W. Olsen 1996. An Analysis of Faunal Remains from Wind Mountain, Appendix 8. In A.I. Woosley and A.J. McIntyre (eds. ), Mimbres Mogollon Archaeology: Charles C. Di Peso’s Excavations at Wind Mountain. Amerind Foundation Publications No. 10, Amerind Foundation, Dragoon, AZ, and The University of New Mexico Press, Albuquerque, pp. 389-406. Shnirelman, V.A., S.L. Olsen and P. Rice 1996. Hooves across the steppes: The Kazak life-style. In S. Olsen (ed. ), Horses Through Time. Roberts Rinehart, Boulder, Colorado, pp. 129-154. Olsen, S.L. 1995. Pleistocene horse-hunting at Solutré: Why bison jump analogies fail. In E. Johnson (ed. ), Ancient Peoples and Landscapes. Texas Tech University Press, Lubbock, Texas, pp. 65-75. Olsen, S.L. 1994. Exploitation of mammals at the Early Bronze Age site of West Row Fen (Mildenhall 165), Suffolk, England. Annals of the Carnegie Museum 63(2):115-153. Olsen, S.L. and P. Shipman 1994. Cutmarks and perimortem treatment of skeletal remains on the Northern Plains. In D. Owsley and R. Jantz (eds.) Skeletal Biology in the Great Plains: A Multidisciplinary View. Smithsonian Institution Press, Washington, D.C., pp. 377-387. Olsen, S. L. 1992. Taphonomy. 1992 McGraw-Hill Yearbook of Science and Technology. McGraw-Hill, Inc., New York, New York. Olsen, S.L. 1989. The 1988 research at Solutré, France. AnthroQuest 40: 6-18. Olsen, S.L. 1989. On distinguishing natural from cultural damage on archaeological antler. Journal of Archaeological Science 16:125-135. Olsen, S.L. 1989. Solutré: A theoretical approach to the reconstruction of Upper Palaeolithic hunting strategies. Journal of Human Evolution 18: 295-327. Olsen, S.L. 1988. Introduction: applications of scanning electron microscopy to archaeology. In S.L. Olsen (ed. ), Scanning Electron Microscopy in Archaeology, BAR, International Series, 452, Oxford, pp. 3-7. Olsen, S.L. 1988. The identification of stone and metal tool marks on bone artifacts. In S.L. Olsen (ed. ), Scanning Electron Microscopy in Archaeology, BAR, International Series, 452, Oxford, pp. 337-360. Olsen, S.L. 1988. Applications of scanning electron microscopy in archaeology. Advances in Electronics and Electron Physics, 71: 357-380. Olsen, S.L. and P. Shipman 1988. Surface modification on bone: trampling vs. butchery. Journal of Archaeological Science 15 (5): 535-553. Olsen, S.L. 1987. Magdalenian reindeer exploitation at the Grotte des Eyzies, southwest France. Archaeozoologia, 1987, 1: 171-182. Arndt (Olsen). S.L. and M.H. Newcomer 1986. Breakage patterns on prehistoric bone points: an experimental study. In D. Roe (ed. ), Studies in the Upper Palaeolithic of Britain and Northwest Europe. BAR, International Series 296, Oxford, pp.165-173. Sales, K.D., A.D. Oduwole, G.V. Robins, and S.L. Olsen 1985. The radiation and thermal dependence of ESR signals in ancient and modern bones. Nuclear Tracks 10(4-6): 845-851. Olsen, S.L. 1983. Zooarchaeological study of archaeological sites in the Farmington area. In L.I. Vogler (ed. ), Human adaptation and cultural change: the archaeology of Block III, N.I.I.O. Navajo National Papers in Anthropology 15(4): 1797-1844. Olsen, S.L. 1982. AZ V:9:105 faunal remains from excavation. In J.J. Reid (ed. ), Cholla Project Archaeology 4: the Tonto-Roosevelt Region, Arizona State Museum Archaeological Series 161: 160. Olsen, S.L. 1982. Faunal analysis. In T.J. Ferguson and B.J. Mills (eds. ), Archaeological Investigations at Zuni Pueblo, New Mexico, 1977-1980, Zuni Archaeology Program Report 183: 390-428. Olsen, S.L. and J.W. Olsen 1981. A comment on nomenclature in faunal analysis. American Antiquity 46(1): 192-194. Olsen, S.L. 1981. Bone artifacts from Las Colinas, Appendix D. In L.C. Hammack and A.P. Sullivan (eds. ), Mound 8, Las Colinas Group, Phoenix, Arizona. Arizona State Museum Archaeological Series 154: 291-295. Olsen, S.L. 1980. Bone artifacts from Kinishba Ruin: their manufacture and use. Kiva 45(4): 39-67. Olsen, S.L. 1979. A study of bone artifacts from Grasshopper Pueblo, AZ P:14:1. Kiva 44(4): 341-373. Olsen, S.L. 1977. Faunal analysis of four sites, Appendix E. In D. E. Doyel (ed. ), Excavations in the Middle Santa Cruz River Valley, Southwestern Arizona. Arizona State Museum Contributions to Highway Salvage Archaeology in Arizona 44: 178-186. Olsen, S. L. in press. Review of Animals as Domesticates: A World View through History, by Juliet Clutton-Brock. Michigan State University. 2012. Anthrozoos. Olsen, S.L. 1991. Review of Thoughtful Foragers: A Study of Prehistoric Decision Making, by Stephen Mithen. American Journal of Physical Anthropology 86:1. Olsen, S.L. 1985. Review of Excavations at Grimes Graves, Norfolk 1972-1976, Fascicule 1, Neolithic Antler Picks from Grimes Graves, Norfolk, and Durrington Walls, Wiltshire: a Biometrical Analysis by J. Clutton-Brock. Quaternary Research 47: 48-49. Professor in Museum Studies Program and Senior Curator of Archaeology in the Biodiversity Institute. National Endowment for the Humanities Sustaining Cultural Heritage Collections Program, implementation grant. Carnegie Museum of Natural History Anthropology Sustainable Collection Storage Improvement. 2014. 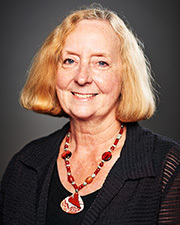 Principle Investigator: Sandra L. Olsen. Amount awarded: $350,000. Layan Cultural Foundation, Riyadh, Saudi Arabia. Roads of Arabia: Archaeology and History of the Kingdom of Saudi Arabia public programming grant. 2013. Principle Investigator: Sandra L. Olsen. Amount awarded: $65,000. National Endowment for the Humanities Sustaining Cultural Heritage Collections Program, planning grant, PF-50260-12, Carnegie Museum of Natural History Anthropology Sustainable Collection Storage Improvement. Duration 1 year, 2012-13. Principle Investigator: Sandra L. Olsen. Amount awarded: $39,500. Layan Cultural Foundation, Riyadh, Saudi Arabia. Documenting the Antiquity of the Horse and Chariot in Saudi Arabia: The Application of Combined Advanced Imaging Technology to Petroglyphs. Year 2, 2011. Principle Investigator: Sandra L. Olsen, Co-P.I’s: K. Christopher Beard and Majeed Khan. Amount awarded: $132,000. Layan Cultural Foundation, Riyadh, Saudi Arabia. Documenting the Antiquity of the Horse and Chariot in Saudi Arabia: The Application of Combined Advanced Imaging Technology to Petroglyphs. Year 1, 2010. Principle Investigator: Sandra L. Olsen, Co-P.I’s: K. Christopher Beard and Majeed Khan. Amount awarded: $230,000. Layan Foundation, Riyadh, Saudi Arabia. Stories in the Rocks: GigaPan Documentation of Petroglyphs in Saudi Arabia. 2009. Principle Investigator: Sandra L. Olsen, Co-P.I’s: K. Christopher Beard and Majeed Khan. Amount awarded: $125,000. National Science Foundation, Major Research Instrumentation Program, DBI 0821644, duration 2008-2011: Acquisition of a Variable Pressure SEM to Enable Research, Education and Services at Carnegie Museum of Natural History. Principle Investigator: John Rawlins, Co PI’s: Sandra Olsen, K. Christopher Beard, John Wible, Kerry Handron. Amount awarded: $280,000. National Science Foundation, Archaeology and Archaeometry Program, BCS 0415441, duration 2004-2008: An Integrated Multidisciplinary Investigation of Early Horse Pastoralism in Northern Kazakhstan. Principle Investigator: Sandra Olsen, Co PI: Bruce Bradley. Amount awarded: $170,000. National Science Foundation, Archaeology and Archaeometry Program, BCS 9816476, duration 1999-2003: Investigation of Krasnyi Yar, Kazakhstan: A Possible Locus for Horse Domestication. Principle Investigator: Sandra Olsen, Co PI: Bruce Bradley. Amount awarded: $210,000. Fulbright Hays Foundation, June-July 2004: Contemporary Mongolia member of 12-person delegation to Mongolia to facilitate educational programs on Mongolia in the US. Grant was awarded to the University of Pittsburgh Honors College. 2005 Musee del’Homme Mongolian Film Festival in Paris featured short film: Mongolia, Remote Realm of the Nomads, directed and produced by S. Olsen. The 26th Annual Telly Award for Film and Video for producing “Mongolia: Living Nomads in Changing Landscapes” video, for the “Ancient Bronzes of the Eurasian Steppe” exhibit at the Carnegie Museum of Natural History, 2005. The 19th Annual Telly Award for Film and Video for producing “The Dinosaur Puzzle” video, for the “Dinosaurs Live On” exhibit at the Carnegie Museum of Natural History, 1998. Dr. Olsen teaches Human Osteology, Museum Anthropology, and Zooarchaeology at KU. She has also has taught Zooarchaeology, Osteoarchaeology, Paleolithic and Mesolithic Archaeology, Introduction to Archaeology, Primitive Technology, Evolutionary Biology and the Natural History of Medicine at various universities, including the University of London, Johns Hopkins University, University of West Virginia, University of Virginia, and University of Pittsburgh. 2014 Nelson Atkins Museum of Art, Kansas City: Arabia through Time: Exploring its Rich Cultural History. May 15. 2014 Basil Capes Lecture Series, Ontario Veterinary College, University of Guelph: The Evolution of the Horse-Human Relationship through Time. March 26. 2012 The Roles of Humans in Horse Distribution through Time. International Wild Equid conference at the University of Veterinary Medicine, in Vienna, Austria, September 18-22. 2012 A Day in the Life of the Botai Horse-Herders. Fourth Eurasian Archaeology Conference, Cornell University, Ithaca, NY, October 11-12. 2010 Conference Organizer: Equids in the Ancient Near East, Egypt and Arabia, Kentucky Horse Park, Lexington, KY.
2004 Symposium Organizer: Animal Symbolism in the Eurasian Steppe, Society for American Archaeology meeting, Montreal. 2001 Symposium Organizer: Eurasian Steppe Economies and Technologies, Society for American Archaeology Conference, New Orleans. 2001 Panel Moderator, Inventing Histories Carnegie Museum of Art, August. 2000 Conference Organizer of the Horses and Humans: The Evolution of Equine Roles in Society, Carnegie Museum of Natural History Powdermill Nature Reserve, Rector, PA.
2000 Symposium Organizer: Current Research in Central Asian Steppe Prehistory, Society for American Archaeology Conference, Philadelphia. 2006 New Research Directions in Eurasian Steppe Archaeology Symposium, University of Pittsburgh Anthropology Department. 2004 Recent Developments in Bone Tool Studies Symposium. Society for American Archaeology Conference, Montreal. 2013 Rock Art Evidence for Ancient Afro-Arabian Cultural Connections. Oral presentation at The Red Sea: Past and Present and Future Challenges Conference, Tabuk, Saudi Arabia, March 17-22. 2012 The Evidence is Carved in Stone: Documenting Arabian Horse Images in Saudi Petroglyphs. Oral presentation at the British Museum opening symposium Horses from the Middle East and Beyond, London, UK, May 25. 2012 A Gift from the Desert: The Art, History and Culture of the Arabian Horse, Guest Lecture at the Pyramid Society’s Egyptian Event, Lexington, Kentucky, June 9. 2010 Desertification in Saudi Arabia and its Impact on Native Fauna and Ancient Cultures: New Data from Ancient Rock Art, Biological Implications of Climate Change: Past and Present symposium, Science 2010: Transformations, University of Pittsburgh. K.C. Beard and Olsen, S.L. 2010 The Saudi Arabian Rock Art Project: Diverse Applications of GigaPan Technology, Panel Discussion, Fine International Conference on Gigapixel Imaging for Science, Pittsburgh, PA.
Olsen. S.L. 2010 Documenting the Ancient Origins of the Samoyed, Samoyed Club of America Conference, Pigeon Forge, TN. Guest speaker. 2010 The Inception of the Arabian Breed, ca. 1400 BCE, Equids in the Ancient Near East, Egypt and Arabia Conference, Kentucky Horse Park, Lexington, KY.
2010 The Impact of Cultural Perceptions and Status on Equine Welfare, The Elizabeth Atwood Lawrence Symposium “Hoof beats and Society: The Horse-Human Relationship,” Cummings School of Veterinary Medicine, Tufts University. 2009 The Horse in Ancient Egypt, the Near East, and Arabia, Biblical Archaeology Society, Pittsburgh. 2009 Taming the Wild Steed: The Origins of Horse Domestication and Its Impact on Humanity, American Institute of Archaeology Lecture, St. Louis, MO. 2009 Building on Darwin’s Insight in Uncovering the Origins of Horse Domestication. Evidence for Evolution: A Celebration of Charles Darwin’s 200th Birthday, Duquesne University. 2008 Applications of Chemical Analyses to Identify Earliest Horse Domestication, The 2008 Tripartite Symposium Chemistry in Art and Archaeology, University of Pittsburgh. 2008 The Roles of American Museums in Protecting Antiquities, Oral presentation at the SAFE (Save Antiquities for Everyone) Vigil, in remembrance of the 5th anniversary of the sacking of the Iraqi Museum, in Baghdad. University of Pittsburgh. Olsen, S.L., M.F. Rosenmeier, R.C. Capo, and D. Maki. 2008 Magnetic Gradient Imaging and Geochemical Evidence for Early Horse Corralling in Northern Kazakhstan. Paper presented at the Society for American Archaeology meeting, Vancouver, BC. Lucio, T. M., A. Nagy, S. L. Olsen, J.D. Towers, MD. 2008 Possible Macrocephaly in a Ptolemaic Child Mummy. Paper presented at the American Association of Physical Anthropology meeting, Columbus, OH. Linduff, K.M. and S.L. Olsen. 2007 Saddles Discovered in Western China: Zaghunluq (761 + 61 BCE) and Subeshi (480 + 85 – 230 + 85 BCE), Xinjiang Uighur Autonomous Region. Paper presented at the First International Congress of Eurasian Archaeology, Cesme, Turkey. Olsen, S.L. 2007 A Possible Copper Age Shaman’s House in Northern Kazakhstan. Paper presented at the First International Congress of Eurasian Archaeology, Cesme, Turkey. 2007 Copper Age Bone Artifacts from the Botai Horse Herders of Northern Kazakhstan. Paper presented at the International Council for Archaeozoology Worked Bone Working Group symposium, Paris. 2007 Mummies, Bog People and Other Ancient Human Remains: What They Reveal about the Origins and History of Diseases. Workshop held at the National Histotechnology Association meeting, Wilmington, DE. 2006 The Sun’s Steeds and Canine Guardians: Shedding Light on Copper Age Animal Sacrifice in Kazakhstan. Paper presented at the International Council for Archaeozoology meeting in Mexico City. 2006 The Bronze Age: Not so Simple After All. New Research Directions in Eurasian Steppe Archaeology: The Emergence of Complex Societies in the Third to First Millennia BCE Symposium, University of Pittsburgh. 2005 Reconstruction of Clothing and Fabric from Archaeological Evidence at Botai, Kazakhstan. Society for American Archaeology Conference, Salt Lake City. 2005 Fiber Technology in the Copper Age Botai Culture of Northern Kazakhstan. The Second University of Chicago Eurasian Archaeology Conference. 2004 Wings, Horns, and Claws: Fabulous Beasts in Kazakh Prehistory. Society for American Archaeology Conference, Montreal. 2011 Director of fieldwork and GigaPan photographic documentation of five petroglyph localities in the Kingdom of Saudi Arabia: Jubbah, Ha’il, al Ula, Taima, and Bir Hima. 2010 Director of fieldwork and GigaPan photographic documentation of four petroglyph localities in the Kingdom of Saudi Arabia: Jubbah, Shuwaymis, Bir Hima, and Graffiti Rocks. 2006 Director of Neolithic Zhusan Quarry and Copper Age settlement of Troitskoe 5 project, northern Kazakhstan, and Archaeologist and Remote Sensing Program Director for Copper Age-Iron Age Bestamak Cemetery and Regional Archaeological Project, western Kazakhstan. Remote sensing program at Medieval fortress of Buzuk, near Astana, Kazakhstan. 2005 Director of Northern Kazakhstan Regional Environmental and Isotopic Research Program involving 13 lake cores, sampling of 300 localities, and transecting ancient horse corral at Copper Age Krasnyi Yar settlement. 2004 Zooarchaeologist on the Khanauy Valley archaeological project, central Mongolia, directed by Francis Allard. 2002 Director of excavation project at Copper Age settlement of Vasilkovka, northern Kazakhstan. 2000-2001 Director of excavation project at Neolithic camp of Zhusan, Neolithic quarry of Zhartas, and Copper Age settlement of Krasnyi Yar, northern Kazakhstan. 1993-1996 Co-Director of excavation project at Copper Age settlement of Botai, northern Kazakhstan. 1991 Director of the Saltville Paleoecological and Archaeological Field School, Virginia Polytechnic Institute and State University, in Saltville Virginia. 1990 Excavation and taphonomic analysis at Akrotiri Site B, Cyprus, directed by A. Simmons, University of Nevada, Las Vegas. 1985-1989 Geographic survey and faunal analysis of Solutré, a Middle Palaeolithic through Upper Palaeolithic horse kill site, east central France. 1985 Excavation at Klithi, an Upper Palaeolithic site in northern Greece, directed by G. Bailey, Cambridge University.